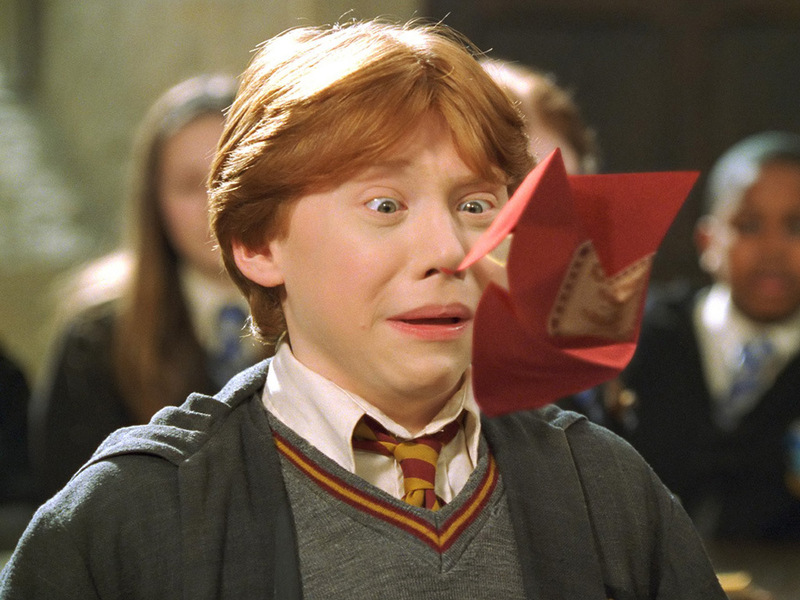 Yesterday was Rupert Grint’s birthday. For those of you sad souls who don’t know who he is, Rupert is the actor who played the lovable Ronald Weasley in the Harry Potter movies, and yes, we love him more than Harry! Some of you might be raising eyebrows this very moment, because Harry is the one who lost his parents, was mistreated by his aunt, was the one to defeat Voldemort, and Harry Potter was always the hero. Yet, while we might have aspired to be more like Harry, Ron was the one who most of us could relate to. So when Harry had to save the wizarding world, and Hermoine had her nose in the books, Ron was the average, teenage kid dealing with the same problems we have gone through. It’s not just Harry, but every important teenager in the series had their thing: like Hermoine – the genius, Malfoy the – evil one, Fred and George – the jokesters, Percy – the prat, or the overly ambitious one, Bill – the successful one, Charlie – the brave one, and of course, Harry – the hero. Ron, on the other hand was the character that left a little undefined, so that we could easily put ourselves in his shoes. 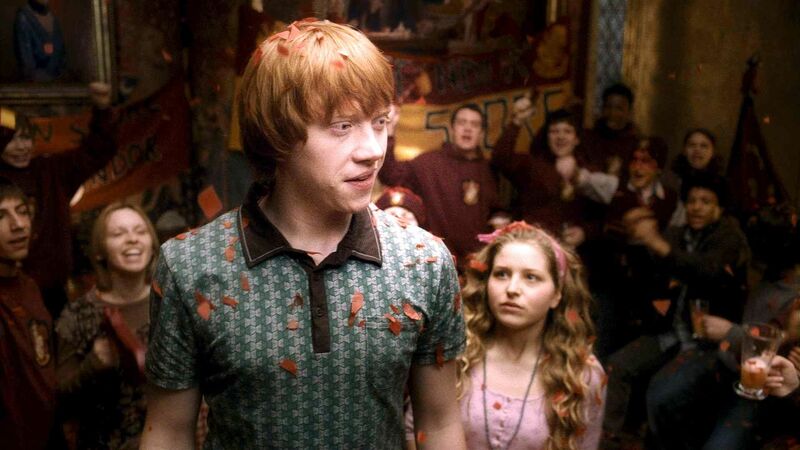 Ron had problems similar to those we have all faced, slightly overshadowed by his brothers, and an average student, working hard to keep up with his grades. Amidst the extreme chaos in the wizarding world, Ron was worried about things like his first Quidditch match, his great-aunt Tessie’s ugly dress robes, and talking to girls. He faced all the embarrassing situations we did, like howlers from his mother in front of the whole school and embarrassing sweaters. Moreover, Ron was a true friend to Harry. He was seldom jealous of the attention that Harry received, he knew Harry was the chosen one and was okay with it. In fact, he did everything he always could possibly do to help. Stealing his dad’s car, walking in to the spider’s lair, playing the knight on the chess board, and going with him to the department of mysteries, knowing that Voldemort could show up there. Although, as he grew into a teenager, he went from the sweet boy to a slight jerk, snogging Lavender Brown, and he did walk out on Harry and Hermoine near the end, but that just made him more real. We all disliked this new ‘teenage’ side of his, but he behaved just like an adolescent boy would, craving a little attention and … snogging. In real life, Rupert is not unlike his character Ron, he is an extremely down to earth, humble guy from Harlow, Essex, England. “I’m quite a laid-back person and not overly ambitious, really,” he says. In fact, as a child he wanted to sell ice-cream, he even bought an ice-cream van and brought it to the set on the last day. He likes to draw, and if not acting, would like to either run around selling ice-cream, or get into animation. Thankfully for us, he’s still acting. After the Harry Potter series, Rupert admitted that he did not need to work, but acted in a few movies before deciding to enter Broadway. He claims to have taken up theatre to challenge himself, and get out of his comfort zone. “I just love what I do, trying new things and scaring myself once in a while,” he explains. You could say, that despite his raging success at such a young age, Rupert sees himself as quite an average guy, just like his character. But we don’t think he’s average at all, we love his eccentric, and quirky self! to read more of your posts in the future, so I’ve bookmarked your blog. in it or something. This is a wonderful blog.